Designerlebrity™ creator, Barbara Viteri was on CT Style with hosts, Ryan and Sarah to talk about keeping your holiday tableware festive for the upcoming holidays. With Thanksgiving just around the corner, Christmas and New Year's just weeks away, it's time to put away the white plates and incorporate a festive theme for each holiday celebration. Thanks to our #shoplikeadesignerlebrity partners, Replacement Ltd, Barbara shared tips and entertainment tricks to the keeping celebration going at the dinner table. -An autumn color tablescape is beautiful, but continue the look with your china. Select patterns with traditional prints like leaves or even a Turkey! -Mix old and new. Include Grandma's china and your own solid color china. Show off your family's history at the table. -Don't forget the bling! Cut crsytal glassware! -Bring back the goblets! There is something regal and glam by holding and drinking from this type of cup. -Incorporate traditional greens and reds, but mix your golds and silvers too. -Layout the full group of cutlery or find the "Beyonce" of the group and select the smaller best. -Keep it cheerful. Select themey holiday plates for your bar treats and complimentary drinks. -Use decanters! The look and celebration appeal is everything. -No bar, no problem. A loaded tray can become an instant bar for your bar cart or on a small table just waiting for Santa. -Some cultures celebrate the New Year with "Good Luck" foods. Dedicate a plate or dish to them! -Save real estate space at the table and put cutlery in a drinking glass. Preferably a crystal one. -Champagne does not need a decorative flute to be enjoyed. It just needs to be presented in a beautiful cut crystel stem glassware. 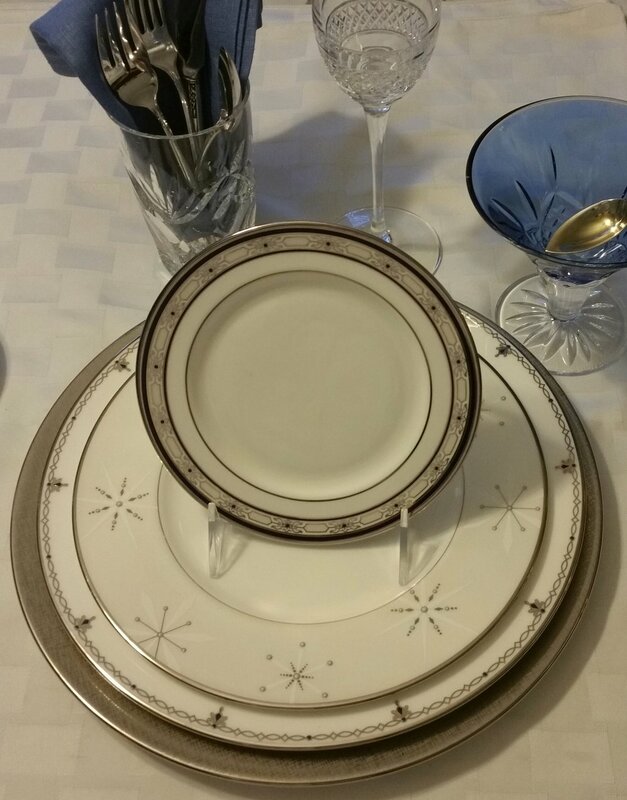 Get the holiday festive tableware looks from our #shoplikeadesignerlebrity partners: REPLACEMENT LTD.